SZEZON 2 EPIZÓD 13 | Sugározva 2019. január 3. 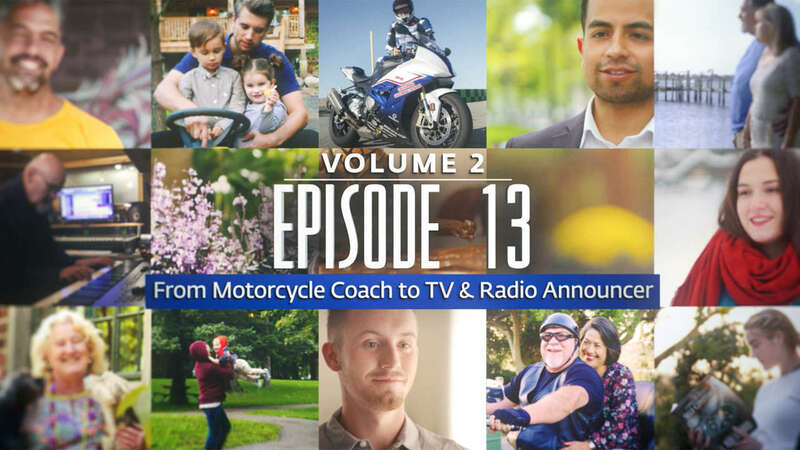 These engaging short profiles include an Italian chef and a baker from Canada, just two of the many people from around the world who discovered the recipe for success at life. And they all credit it to the tools they learned in Scientology. Meet James, a ride coach from the United States. Meet Alessio, a chef from Italy. Meet Len, a property investment advisor from Australia. Meet Sabrina, a student from South Africa. Meet Ron, a door company owner from the United States. Meet Ilya, an entrepreneur from Russia. Meet Kevin, a construction worker from the United States. Meet Christina, a baker from Canada. Meet Alejandro, a real estate professional from Chile living in the United States. Meet Ralf, a physician, researcher and inventor from the United States. Meet Carol, an art consultant from South Africa. Meet Bill, a chief technology officer from the United States. Meet Irina, a mother from Ukraine living in Ireland. Meet Anthony, a tennis coach from France living in the United States. Meet Eric, a real estate investor from the United States. Meet Alina, a theater college student from Russia. Meet Brian, a water filtration company owner from the United States. Meet Javier, a dietary supplement distributor from Mexico. Meet Martin, a recording studio owner from England. Meet Yung-Hsin, an executive assistant from Taiwan. Meet Michael, an electrician from the United States. Meet Chuck, a public address announcer from the United States. Rövid bemutatkozások, amelyek a Scientologyban megtanult technikák egyetemes érvényét emelik ki.